Many of us think of professional spa facials as just one aspect of a special occasion day at the spa – while on your exotic vacation or as a treat for the wedding party before the happy day. However, professional spa facials are an important part of your beauty routine that should be done regularly. Here’s why. Cleansing. We go to the dentist every six months for a professional cleaning and we understand the benefits: a deep cleaning that we just can’t get at home that prevents problems in the future. The same is true with professional facials. Professional estheticians can clean your skin in a way that’s not possible at home, removing deep-down dirt, oil, and dead skin cells that clog your pores and can make your skin break out. Regular professional cleansing can prevent a lot of inconvenient and unsightly skin issues. Exfoliating. As an extension of professional cleaning, exfoliating gets even deeper, clearing out dead skin cells and pollutants. But exfoliation does even more. It stimulates your skin’s natural rejuvenation processes that create healthy new cells and build collagen, a necessary protein that helps keep your skin looking young and can even help rebuild areas with minor scarring. Extraction. 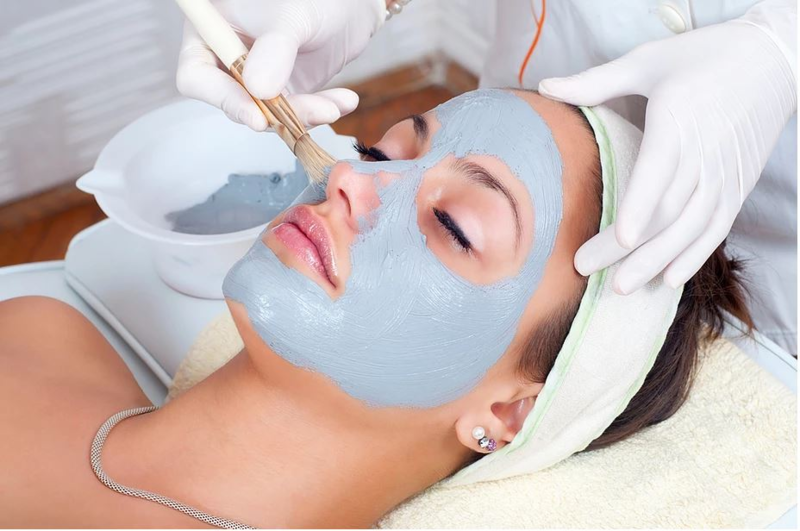 One element of a professional facial is the extraction phase, where the professional esthetician removes unsightly pimples, blackheads, and other blemishes. Trying to remove them at home can make them worse, but a professional spa esthetician knows how to remove them safely. Advice. Your professional esthetician is your best resource for advice about keeping your skin healthy. He or she can recommend products specially formulated for your skin’s needs to help keep breakouts and other issues under control. Your esthetician can also advise you on the best skincare routine to keep your skin looking healthy and glowing. Relaxation. Finally, a professional spa facial is a great way to relax and get pampered in a calm, stress-free environment. A regular schedule of professional spa facials gives you that “me” time that so many of us neglect. To get started on your regular spa facial routine, make an appointment at the Spa & Salon @ Greenbriar today. Call us at 254.939.3700 or visit our salon at 217 East Central Ave in Belton, TX to make an appointment or talk to our professional estheticians about your individual needs.